Green infrastructure such as green roofs, tree plantings, rain gardens, and permeable pavement are water quality management techniques that mimic natural hydrologic functions. They have been proven to solve major urban stormwater problems and improve the health and livability of neighborhoods. 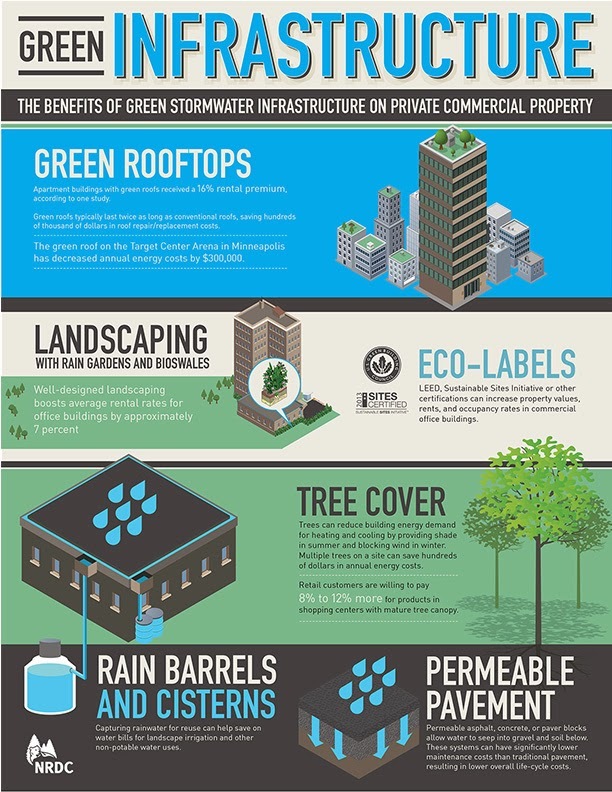 The National Resources Defense Council (NRDC), has developed a new publication showing how commercial property investment in green stormwater infrastructure not only manages stormwater but creates value. Simple green infrastructure techniques make good business sense and are essential to a sustainable future.